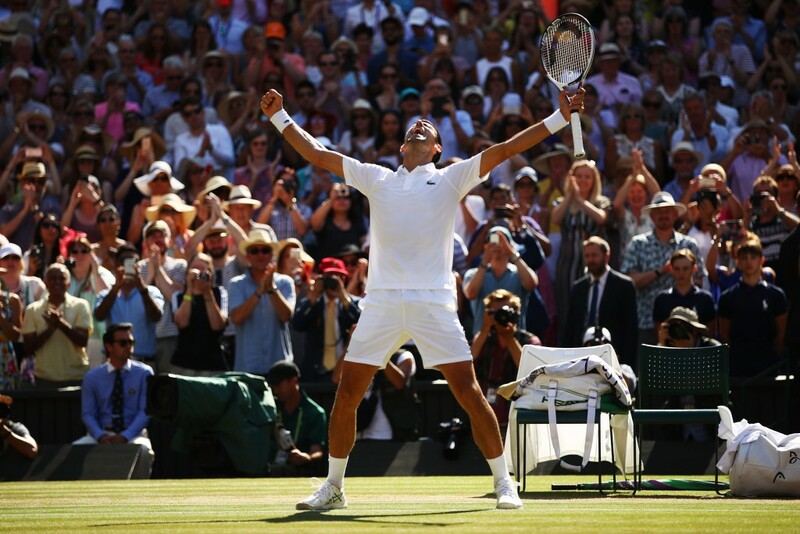 An eventful Championships has concluded at Wimbledon with Angelique Kerber claiming a maiden title at SW19, and third major overall, and Novak Djokovic winning a first Grand Slam in more than two years by lifting the Wimbledon trophy for a fourth time. Here are things we learned from the action in south-west London these past two weeks. As Djokovic said during the trophy ceremony, there is no better place to announce that he’s finally “back” than on Wimbledon Centre Court, as a Grand Slam champion for a 13th time. His two-year major drought included many moments of doubt but just like Roger Federer, Rafael Nadal, Serena Williams and other stars, Djokovic proved that you should never discount the greats. He’s back in the top-10, has a tight win over Nadal under his belt, and has clinched his first title in 13 months. In each of the four Grand Slam finals she has contested so far in her career, Kerber has managed to bring her A-game, even in the one she lost to Serena Williams at Wimbledon 2016. The German is a big-match player and her straight-sets rout of Williams in Saturday’s final was further testament to that. “I really look forward to these matches, because these are the matches where I know I have to play my best tennis. These are the matches when I’m practicing and working hard, I always have these matches in my mind,” says Kerber. 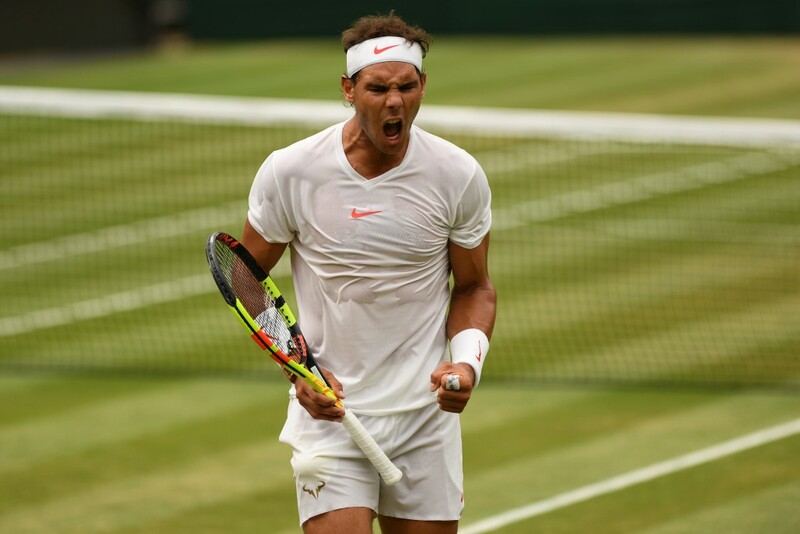 It had been seven years since Nadal last made it past the fourth round at Wimbledon and the Spaniard finally ended his tough run at the All England Club by making the semis this fortnight. His five-set win over Juan Martin del Potro in the quarters and his five-set defeat to Djokovic in the semis were arguably the best two men’s matches contested this season. Beyond the result of reaching the last-four, it’s the aggressive way he was playing on grass that must be the most encouraging for him. “Normally I am very critical with myself. But I hit a great shots. I played aggressive. I missed balls, not too many, but I missed some ones. When you play with that intensity, with that level of risk, that level of passion, sometimes you go over, no? Nothing to complain. I think I played a great match. I have not much more inside me. I give it my best,” was his assessment of his loss to Djokovic. 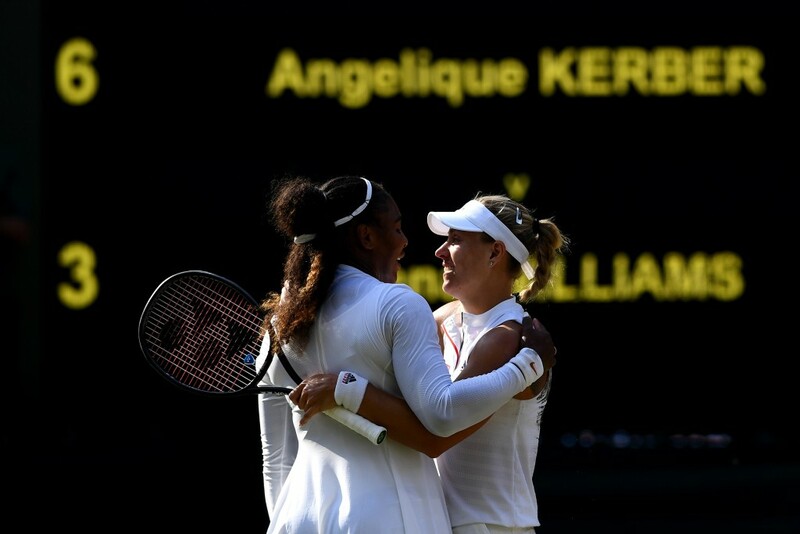 Reaching the Wimbledon final in just her fourth tournament back is an incredible feat for Williams, who has already spent two decades raising the bar and defying all odds. “I’m literally just getting started,” said the 36-year-old, who had her first child, Olympia, last September. She was improving with every match throughout the fortnight, and came up short against an incredibly fit and in-form Kerber. Watch out for Williams at the US Open! Both the men’s and women’s finals were contested by players aged 30 or older – a first for either draw in the Open Era. Just when you think the younger generation will start to make its move, the veterans reassert their position at the summit. The ‘Big Four’ stranglehold on the Wimbledon men’s singles title continues for a 16th consecutive year with Lleyton Hewitt being the last man outside that group to triumph here back in 2002. Making back-to-back quarter-finals at Roland Garros and Wimbledon, 21-year-old Russian Daria Kasatkina is having a statement 2018, having also placed runner-up in Indian Wells and Dubai this season. With strong results on hard courts, clay and grass, she’s proving to be an all-court threat and gaining more confidence on the big stage by the minute. 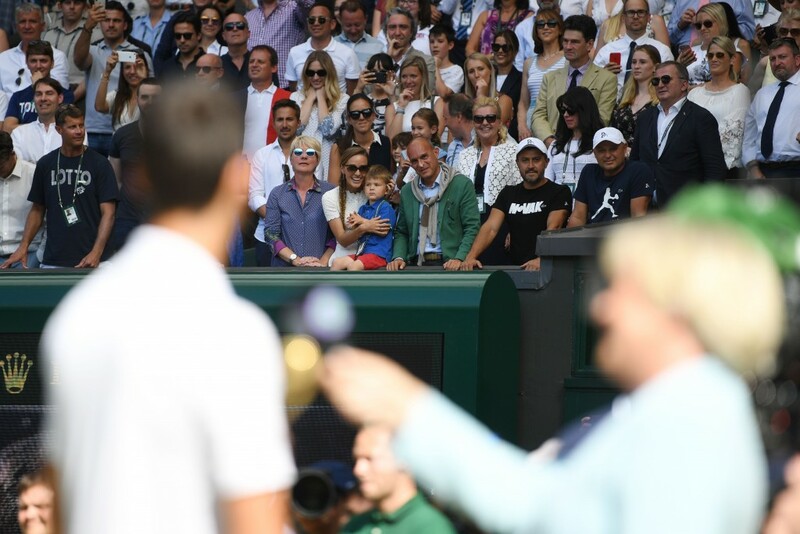 Besides Williams’ run to the final, Wimbledon has been a triumphant tournament for several mothers in the draw. Tatjana Maria shocked fifth-seeded Elina Svitolina in the first round, Evgeniya Rodina made it all the way to the fourth round as a qualifier, and Victoria Azarenka reached the final in mixed doubles alongside first-time partner Jamie Murray. Two 19-year-olds, Stefanos Tsitsipas of Greece and Alex de Minaur of Australia, showed some impressive grass-court credentials at Wimbledon as well as in the build-up. Tsitsipas, who had only ever won just one main draw match at a Grand Slam coming to the All England Club stormed into the fourth round before falling to John Isner. De Minaur, who won 13 of 16 matches this grass-court season including a Challenger title, fell to Nadal in the third round at Wimbledon. “He’s going to be a guy that’s going to love playing on grass for his whole career. These type of balls, nightmare, so flat,” said Kyrgios of De Minaur. After losing in the first round of her title defence at Roland Garros just a few weeks ago, 21-year-old Jelena Ostapenko bounced back in the best way possible, reaching the semi-finals at Wimbledon, where she won as a junior just four years ago. Within a span of 13 months, Ostapenko has won Roland Garros, reached the final in Miami and made semis at Wimbledon. She’s here to stay! Sweet taste of victory: Novak Djokovic. Novak Djokovic laughs when he’s reminded how he brought the band back together three months ago by rehiring his former coach Marian Vajda and fitness trainer Gebhard Phil-Gritsch. “Yes, the boy band,” he says with a big grin on his face after capturing a fourth Wimbledon title on Sunday. Djokovic had parted ways with Vajda in April last season, after spending nearly a decade together, but they reunited ahead of the clay swing this year, and their partnership has already paid dividends, with the Serb snapping a two-year Grand Slam trophy drought with victory over Kevin Anderson on Sunday. “We talked actually post-match. It seems like he [Vajda] is planning to keep on working with me, which is great news,” announced Djokovic in his post-match press conference. “We are going to keep on working till the end of the year for sure, then we’ll see after that. An ecstatic Vajda admits he never would have expected Djokovic to be crowned champion this fortnight and that the semi-final victory over Rafael Nadal took him by surprise. “I didn’t expect to win Wimbledon, this is the biggest surprise from all the years I was with him. All the years we were practicing, I was expecting he can be No. 1, he can win Grand Slams, but this was very unexpected,” said Vajda. “Queens [where he reached the final] helped him a lot, giving him slight confidence, but he was always doubting how he would be at Wimbledon. “I think the biggest improvement here was his serving, patterns were fantastic, and the most improvement was on the return. He couldn’t find returns in Paris and in other tournaments but he found it just in time this tournament. Djokovic had to make changes to his serve due to the long-term elbow injury he suffered from – he eventually had surgery in February this year – and he made adjustments to the specs of his racquet end of last season. At Wimbledon, his serve saved him in the tightest of moments, and he finished the tournament winning 80 per cent of his first-serve points and holding in 104 of 115 service games. “Amazing, amazing how he found himself really, really under pressure,” said an astonished Vajda. Vajda hesitates to take any credit for Djokovic’s resurgence but the fact remains, the 13-time Grand Slam champion almost only wins when they are together. It came as a bit of shock to many when Djokovic split with his whole team last year in April, parting ways with Vajda, Gritsch and his physio Miljan Amanovic, who now works with Milos Raonic. The Serb hired Andre Agassi and later added Radek Stepanek but the relationship didn’t last. When Djokovic called Vajda for help in April, the decision wasn’t difficult. “I didn’t feel bad about myself at all. I was actually excited to call him, very much. It didn’t take long. Actually the same night he called me back and said, ‘Okay, let’s do it, when should I come for practice?’ A few days later he was there,” said Djokovic. Vajda spent time with his family during the period away from Djokovic and he insists there were no hard feelings. “I felt good being with my family back home, I take it easy, I’m an easy person, I don’t fuss about anything. I really enjoyed the time and I was happy to take time off,” said the 53-year-old Slovakian. “His decision was made and he just had to deal with it. I am very close to him but he made the decision. I didn’t want to be involved for a time, he made a decision not to be with us as a team, and he had to take it all. I really thought that Andre and the other team would help him. You can make a bad decision but you don’t have a bad intention with anything. When they teamed up again, did he have any doubts that Djokovic would reclaim his former glory? It seems that the theme this Wimbledon is ‘Comebacks’ and Angelique Kerber’s is no less impressive than Novak Djokovic’s. After enjoying a dream 2016 that saw her rise to No. 1 in the world and win two Grand Slams, Kerber struggled in 2017, losing in the first round in two of the four majors and dropping outside of the top-20. 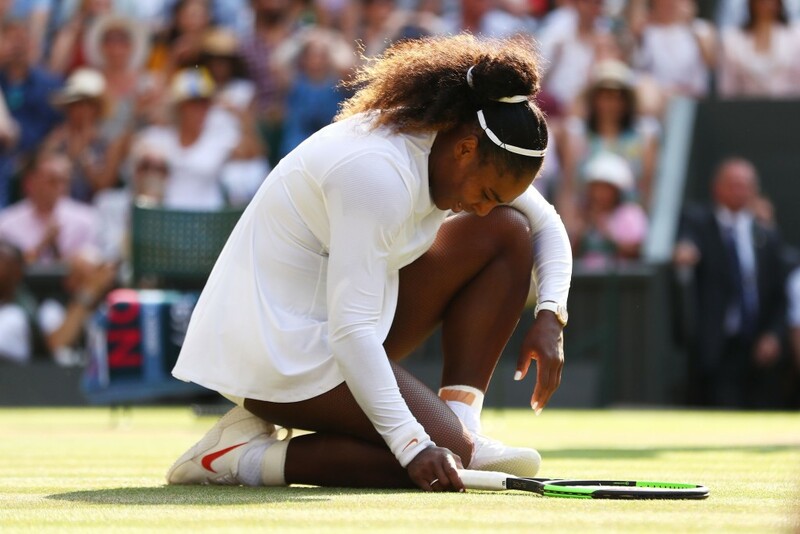 Her determination to wipe that year from her memory and undergo a system reboot in 2018 resulted in her capturing a first Wimbledon trophy on Saturday at the All England Club. So many people doubted her after suffering through last year but Kerber, aided by her new coach Wim Fissette who joined her team at the end of 2017, silenced all those sceptics. “I have much more experience than two years ago because the last two years gave me so much experience, good and bad things. Without 2017 I wouldn’t be here because I learnt so much about myself, as a person, and as a tennis player,” said the 30-year-old Kerber following her straight-sets win over Serena Williams in the final on Saturday. Kerber, the first German woman since Steffi Graf in 1996 to win Wimbledon, was overwhelmed by all the attention and the aftermath of her stunning 2016. But when she partnered with Belgian coach Fissette end of last season, he knew exactly what they should do to get back on track. “I didn’t feel it was hard because when we started working she really had a very hard desire to go back to the top of women’s tennis and she was also willing to work very hard for that,” said Fissette. “On the first day I remember, I showed her a video, a compilation of different matches where I showed how I wanted her to play in 2018 and we agreed on that. So our plan started from there. Kerber had a brilliant Australian summer, going undefeated at the unofficial team event, the Hopman Cup, then reaching the semi-finals of the Australian Open. Six months later, she is back in the winners’ circle and up to No. 4 in the world rankings. She hopes to do things differently this time around, to make sure she doesn’t suffer another dip. “I think I’ll give a little bit more time for myself because after 2016 I had not really a lot of time to take a break and realise what I achieved,” said Kerber. “I was enjoying it [when I got to No. 1] but I wasn’t expecting so many things because when you reach the top you have no idea what you have to deal with in this moment. What I’ve learnt from that time, is that you have to say sometimes ‘no’ not doing everything and taking time for yourself. Sat at the centre of a small groups of journalists in the second interview room at the All England Club, a smiling Kerber had the members’ pin attached to her shirt, which places her among an elite group of players to have triumphed at Wimbledon. “It means a lot to me, knowing I’m a member here, that’s something huge, I can say that’s forever. Even in 30 years I can come here and watch the tennis,” said Kerber.